Two loud explosions were heard at the Brussels Zaventem Airport in the capital city of Belgium, reported Belgian media. 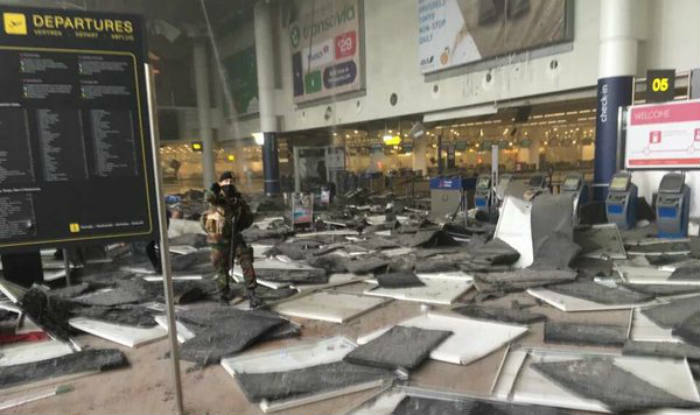 Update: According to the Belgium media reports, the explosion at the Brussels airport was a suicide attack. The blast was also reported at a Brussels metro station which is close to the EU buildings at Maalbeek. As per Belgian media reports, the airport is being evacuated now. “I was in the duty free in Zaventem Airport and I heard two very, very loud explosions. I could feel the building move. There was also dust and smoke as well,” said Sky’s Alex Rossi. That’s why the entire Metro system machinery in Brussels has been closed. Several people were reported injured in metro station blast. According to the reports of Indian Ministry of External Affairs, all Indians in Belgium are safe. There is information that several people in the Brussels Airport departure hall have been injured. Rail traffic to the airport has been suspended due to the blasts. No planes are allowed to make a landing at Brussels Airport which is in lockdown. The blasts are being seen as a response to the capture of Salah Abdeslam, the main suspect in the Paris attacks in November, in Brussels. The capital city was on high alert due to the same reason of the arrest of Paris attacks mastermind. Still the cause of the explosions is unknown. Security forces have reached the spotted venue and rescue operation in under-way.